I'm back here once again seeking your help... I'm in the early stages of pre-production of a new short-film, which contains a night scene on an isolated road country side... I would say about 300ft of road, maybe less, not more. Please, anyone has any ideas? To light a night scene on a tight budget requires that you first have a clear concept for the shot. From there you can figure out an innovative approach to accomplish that look. What tools you need and how you deploy them will follow. A good example is a very similar scene I lit on a “low budget” feature called "Black Irish." 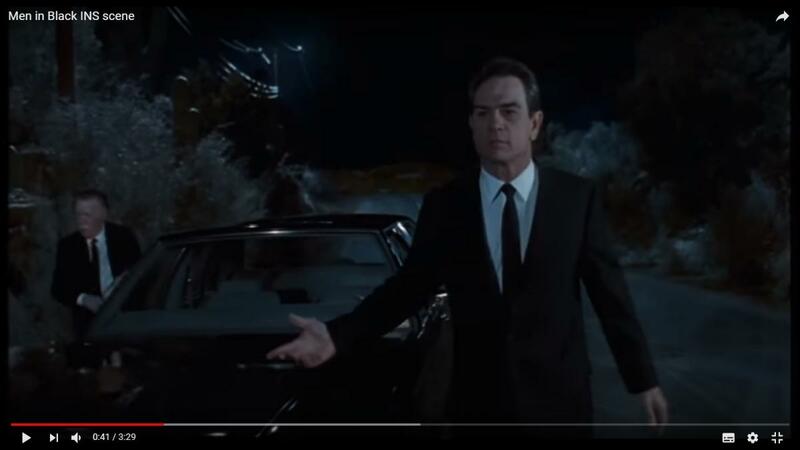 It was a pivotal scene where the youngest son of an Irish American patriarch crashes his derelict older brother's car setting off an unfortunate series of events. For the scene we had to light 1000 ft of Marginal Street in Chelsea, MA for driving shots on a process trailer and the scene of the accident. Our biggest challenge was to create through the lighting the feel of a car hurdling down the road at high speed. The problem was that even after lighting the equivalent of three football fields, the process trailer couldn't obtain a speed of more than 30 mph before it was out of the light. The traditional approach of under-cranking the camera to increase the speed was not an option because the scene was a pivotal one with extensive dialogue inside the car. So, we had to create the effect of speed through the lighting. I came up with a concept that was as beautiful in its practical simplicity as well as in its psychological complexity. To heighten the sense of speed of the process trailer shots we rigged 500w practical fixtures along a four hundred foot wall on one side of the road. We spaced the practical wall lights twice as close together as they would be normally. This way, as the car passed by, areas of light and dark would pass rapidly by in the background and exaggerate the speed at which the car was traveling. When it came time to shoot the static wide establishing shot of the car racing down the road, we dismantled every other wall practical in order to reinforce the effect. On an unconscious level the viewer's mind registers in the establishing shot the wider spacing of the wall lamps. So when in the close up process shots the pools of light in the background are racing past at twice the rate because there are, in fact, twice as many lights, the viewer's mind registers the car is traveling at twice the speed it is, in fact, traveling. In addition to the wall practicals, I simulated car dash board light on the actor's faces with a 12v 9" Kino Car kit. The play of the passing wall lights on the actor's faces were created by a revolving 650W Fresnel with diffusion on its doors rigged on the process trailer. To light the long stretch of road, I simulated the pools of light that would be created by street lights by rigging 6kw space lights under the baskets of 60' condors that were spaced about 200' apart over the road. In addition to the Space Light, each condor basket also carried a 4k HMI that filled the stretches of road between the pools of tungsten light with a cool moonlight. To continue the moonlight down the road there was yet another 4k HMI Par on a Mambo Combo Stand. Because this 4K was further down the road than was practical to run cable, it was powered by a Honda 5500W portable generator. A 12kw HMI Fresnel with 1/2 CTO through a 12x frame of Soft Frost served to pick up the deep background from the front on one end of Marginal Street while a 6kw HMI Par lit the other end. To supply power on both sides of the road for a 1000' stretch was no small task. I used three generator plants strategically placed so that our cable would never cross the road in a shot. In addition to the Honda 5500W portable generator that powered the 4kw HMI Par light for the deep background, I used a 800A plant to power the 4kw HMI Pars and 6kw Space Lights in the condors, the 12kw Fresnel, and the base camp trailers and work lights. The 6kw Par, 12 - 500W practicals, and an assortment of smaller HMI's used to light the post crash scene were powered by a 450A plant on the far end of the roadway. This example, demonstrates that once you have a concept you can come up with an innovative approach to accomplish it. The tools and how to deploy follow. This example also demonstrates that the right tools, used in an innovative way, can create startling results on a low budget. Since “low budget” is a relative term (Phil), to address Damian’s situation, it would be helpful to know what the budget is for this scene and have more details about the sequence and location.